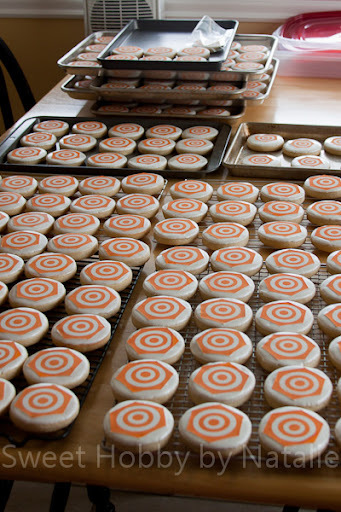 The company was having a corporate event and wanted there Logo on 200 cookies. 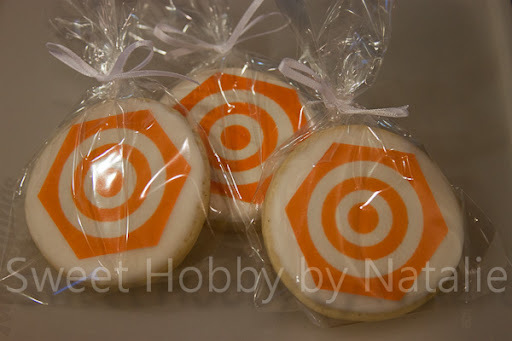 With this Logo the only way to go was to make edible images. It was quite the task to get the right color of orange it needed to be. 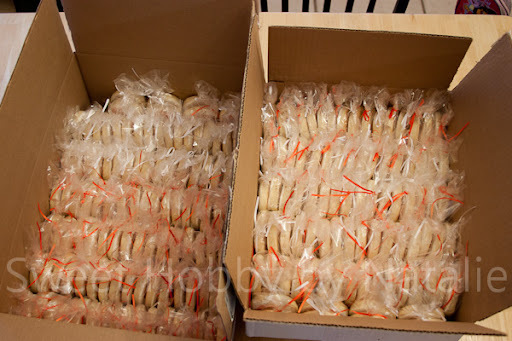 This is what 200 cookies look like all bagged, tied and boxed up. Wow, like a real job?